Car insurance policies in India are mainly of two types; Third Party Liability cover and Comprehensive Cover. Third Party cover is mandated by law and it safeguards the insured from the liability towards third party vehicle. Any damage to the vehicle of the insured, however, remains unprotected. A comprehensive car insurance plan covers both third party and insured's vehicles. Although, this type of car insurance in India is not mandatory, most car-owners are inclined towards making the most of the wider coverage provided by comprehensive car insurance policies. best car insurance in India unless you know what to look for. Here are 9 most important aspects to check to ensure an informed choice of good yet cheap cheap car insurance in India. If you come across any good plan in terms of various parameters, don't just settle with that at once. Aside from the plan and the provider is also important. Because, it doesn't matter how good does a particular car insurance plan appears if its provider has a poor record in settling claims. Therefore, you need to check the claim settlement ratio of all the leading car insurance companies in India and shortlist them in terms of the speed and ratio of settlement of claims. After all, you are not going to pay hefty amount of premium for comprehensive coverage only to see your claim being turned down or to wait for a long time to receive the claim payout. Just like claim settlement, other customer-centric services of the provider are equally important and they play an instrumental role in deciding the best. The quality of the service, especially after selling the policy matters the most and you cannot guess it beforehand. To gain information on this, you need to lend your ears keenly to the experiences of different policyholders with different car insurance companies in India. Ideally, the chosen provider should be available 24×7 to offer support and there should be multiple ways to contact the company when you are in trouble. An extensive network of garage is one of the most essential parameter for you as you never know when misfortune might befall and damage your vehicle. The benefit of choosing a car-insurer with wide network of quality garages across the country is you will invariably find a garage in the proximity and don't have to remain stranded for long. Moreover, you shouldn't just go by the number of garages but also keep the reviews and reputation of these garages into consideration to locate the provider with best range of garages. In the days of yore, car insurance plans were issued from brick and mortar offices and used to take months if not some weeks. In this era of Internet, cheap car insurance online is what all car-owners are looking for as the speed does matter. All car insurance companies in India are not equal in terms of the time they take in order to issue a car insurance cover. Hence, you need to select the one that facilitates quick issuance of policy and put coverage into effect instantly. Many car insurance plans in India comes with a range of additional value-added services that car-owners can avail either for free or by paying additional premium. Your should look for a insurer with free offerings of services that includes towing services and 24×7 road assistance. In case, these services come at a price, you should check your affordability first. 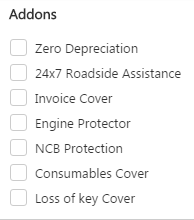 While there is no harm in ensuring an all-encompassing protection, increased premium can be an issue for you if you are on budget. In case you have no concern regarding the cost, you can also opt for car insurance add-on cover to enhance the coverage already in place. Deductibles are essentially some fixed amounts that policyholders are supposed to pay in time of a claim to initiate their insurers' payout. If you choose higher deductibles, your car insurance premium will reduce accordingly but you have to pay the higher amount when you make a claim .So, again it depends on how much you can afford. 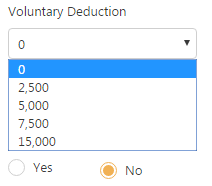 You can choose not to go for any deductibles at all as well. The premium usually influences the selection of motor insurance policy most. But you shouldn't opt for a cheap car insurance in India with inadequate coverage just because it is easy on your pocket. The premium depends on IDV, model, geography, vehicle's age, occupation of the policyholders. If these factors trigger higher chance of accidents, premium will rise accordingly. 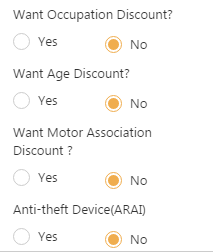 On the other hand, you can opt for various discounts on offer if you are eligible and have your premium reduced. You should, therefore, compare car insurance premium of various car insurance companies to trace out the cheapest car insurance plan in India that doesn't compromise with coverage and other beneficial features. No car insurance company in India is perfect from all aspects. Every provider of cheap car insurance in India has its own share of positives and negatives. Compare car insurance online at GIBL.IN and settle with the beast car insurance plan that satisfy most of the above-mentioned points.